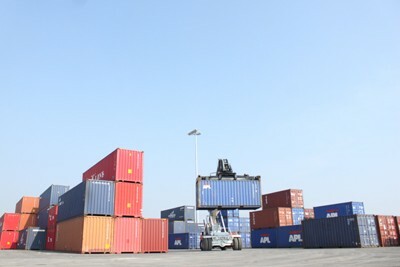 Viet Nam’s special preferential import tax rates applied for the Framework Agreement on Comprehensive Economic Cooperation between ASEAN and China (the ACFTA Agreement) in the 2018-2022 phase will help reduce import tariff lines to 0 per cent in 2018. Specifically, the import tax lines on chickens, coffee, tea materials, confectionery products, processed foods, chemicals, antibiotics, textile raw materials, apparel fabrics, clothing, iron and steel products, electrical machinery and equipment, electronics and boats will be decreased from 5 per cent and 10 per cent in 2017 to 0 per cent this year. In addition, in the period from 2018-2022, the import tax rate of 50 per cent will still be applied for around 200 tariff lines, including that on eggs, salt, sugar and tobacco from 2018. The ACFTA Agreement was signed in November 2002. In November 2015, in a joint effort to move ASEAN-China relation to a higher level, Parties has agreed to sign on the Protocol to Amend the Framework Agreement on Comprehensive Economic Co-operation and Certain Agreements there under between the ASEAN and China. Under the Protocol, Parties agreed to, on the basis of mutual benefit, explore and undertake economic cooperation activities in such areas as trade-related issues, agriculture, fishery, forestry and forestry products, information and communications technology, human resource development, investment, trade in services, tourism, industrial cooperation, transport, intellectual property rights, small and medium enterprises, environment and other fields related to economic and technical cooperation as may be mutually agreed upon by the Parties.